We know that both the greenest city slicker and the most seasoned ranch hand alike can appreciate Oklahoma City’s equine culture. As the “Horse Show Capitol of the World,” Oklahoma City is home to more national and international equine championship events than any other city in the world. No matter your riding style, fall is the perfect time to experience Oklahoma City’s equestrian side at one of the many horse shows that call Oklahoma City home. It’s the Great Pumpkinville, OKC! For the third year, Oklahoma City can enjoy a pumpkin paradise thanks to Myriad Gardens and OGE Energy Corp. Pumpkinville, presented by OGE Energy Corp., is an enchanting celebration of all things fall that includes more than 3,000 pumpkins filling the Children’s Garden from Oct. 10-31. Admission to Pumpkinville is $5 per child and $3 per adult (unless you are a member of Myriad Gardens, in which case admission is free). In addition to fall fun in the Children’s Garden, Myriad Gardens will also host the Pumpkinville Halloween Party: Garden Monster Bash on Oct. 25 from 6-8 p.m. This ghoulish party will be more friendly than frightening, so have no fear about bringing your children or skittish friends. View the admission prices and RSVP for this event by Monday, Oct. 20 to reserve your spot! One of the best ways to appreciate the changing seasons is by experiencing Oklahoma’s scenery. We guarantee that you will want to break out the apple cider and cozy sweaters once you see all the autumnal beauty that Oklahoma has to offer. The Talimena National Scenic Byway is one of the state’s best bets for amazing vistas of eastern Oklahoma’s landscape – rolling hills that are ablaze with fall foliage every year. This winding 54-mile drive follows along the crest of the Rich Mountain and Winding Stair Mountain in the Ouachita (pronounced Wash-i-tah) National Forest. The drive takes a little more than an hour to complete, but there are plenty of attractions along the route that invite you to take it slow, including hiking, horseback riding and mountain biking trails. If you are feeling inspired to explore the rest of Oklahoma’s scenery this fall, check out TravelOK’s suggestions for enjoying autumn in Oklahoma and their list of best destinations for fall foliage. Pandas the Journey Home IMAX; First showing at 10 a.m.; Science Museum Oklahoma, 2100 NE 52nd St; 602-3760; $6.95 for kids and $8.95 for adults. Music of the Dust Bowl; 6:30 p.m.; Oklahoma History Center, 800 Nazih Zuhdi Dr.; 521-2491. On Behalf of the Pioneers: The Oklahoma City Century Chest; Regular museum hours; Oklahoma History Center, 800 Nazih Zuhdi Dr.; 521-2491, Regular Museum admission. Chess Club; 3:30 p.m.; Nicoma Park Library, 2240 Overholser Dr.; 769-9452; All skill levels welcome and participation is free. Gov’t Mule; 7 p.m.; Diamond Ballroom, 8001 S. Eastern; 677-9169; Admissions is $29 at door. Mother Goose on the Loose; 10 a.m.; Downtown Library, 300 Park; 231-8650; Free. Oklahoma Regatta Festival; 6 p.m.; Oklahoma River, 725 S. Lincoln; 552-4040. Foster the People/Fitz and the Tantrums; 7 p.m. ; OKC Downtown Airpark, 1701 S. Western; 364-3700; Ticket prices vary. Day Out with Thomas; All day; Oklahoma Railway Museum, 3400 NE Grand; 424-8222; $16. First Friday Gallery Walk; 6 p.m.; Paseo Arts District, 3022 Paseo; 525-2688; Free. ARTonTAP; 8 p.m.; Oklahoma City Museum of Art, 415 Couch Dr.; 236-3100; $45 for members and $50 for non-members. Zoo’s Annual Pumpkin Drive; All day; Oklahoma City Zoo, 2000 Remington; 424-3344; Free admission if you bring a large pumpkin. Day Out with Thomas; All day; Oklahoma Railway Museum, 3400 NE Grand; 424-8222; $18. Yukon Czech Festival; 10 a.m.; Yukon Czech Hall, 205 N. Czech Hall. Oklahoma Regatta Festival; 10 a.m..; Oklahoma River, 725 S. Lincoln; 552-4040. Repticon Oklahoma City Reptile & Exotic Animal Show; 10 a.m.; Oklahoma State Fair Grounds, 3001 General Pershing; $10 for adults, $5 for children (5 and over). Oklahoma Regatta Festival; 8 a.m..; Oklahoma River, 725 S. Lincoln; 552-4040. Pistol Pete’s 91st-Birthday Celebration; 2 p.m.; Oklahoma City Zoo, 2000 Remington; 424-3344; Regular Zoo admission. Roots of African-American Music; 1:30 p.m.; Almonte Library, 2914 SW 59th; 606-3575; Admission is free. Here at the Better Life Headquarters we are dedicated to showing you everything that is awesome and fun about Oklahoma City. If you’ve read our blog before you know the good times don’t stop at the OKC city limits. Greater Oklahoma City (as we like to call it) has a bevy of cities and communities that each offer unique events, attractions and histories that are definitely worth exploring. We’ll start our tour just west of OKC in Yukon. Yukon is the hometown of music superstar Garth Brooks and was officially founded in 1890. Yukon was a popular stop on the historic Chisholm Trail long before the city formed. In fact, if you know what you are looking for, you can still find deep ruts left behind from wagon tracks and watering holes for the cattle. The Chisholm Trail and Crawfish Festival is held every year in Yukon. Yukon is also known as the “Czech Capital of Oklahoma” and hosts the Czech Festival on the first Saturday of October. The festival kicks off with a parade followed by singing and dancing at the Czech Building. The festival also features a carnival and the royal coronation ball at historic Czech Hall. More than 2,500 dozen kolaches are baked for the festival each year. Take our word for it and taste as many different flavors as you can. Speaking of Czech Hall, you can check out the historic building (built in 1899 and on the National Register of Historic Places) every Saturday night for the Czech dances. The dances have been held every week since 1925. Yukon is also home to some great museums, shopping and a Main Street that is part of historic Route 66. Find more fun things to do in Yukon here. Just outside of Oklahoma City to the Southwest is Tuttle, home to the Braum’s Dairy Farm. Why is that important? Because Braum’s means ice cream and who doesn’t love ice cream? The people of Tuttle sure do as every May they host the Ice Cream Festival. You might be asking yourself, “What does the Ice Cream Festival entail?” Well if you guessed lots and lots of ice cream, then you are correct. That really is all you need to know. Mark it on your calendar. Need more of a hard sell? The festival has something for everyone: a parade, live music, pageant, car show, ice cream eating contest (brain freeze from Hades) and a homemade ice cream contest. If Tuttle is not now on your list of places to visit, I’m not sure we can be friends. Enjoy shopping at local boutiques on picture-perfect, small-town main streets? Take a quick jaunt to Bethany (located on the west side of OKC). The historic downtown features unique and charming stores you can’t find anywhere else. Bethany’s main street has the added bonus of being part of historic Route 66. That’s right. The millions of travelers who have made the journey from Chicago to California have gone through Bethany. Each May, the town hosts the Bethany 66 festival to honor the historic roadway. The festival features live music, food, antiques and classic cars at the Diffee Motor Car Show. Bethany also is home to one of the best Fourth of July celebrations around, the Bethany Freedom Festival. The festival takes place each year at Eldon Lyon Park and is one of the largest digitally mastered fireworks displays in the Sooner State. We are just going to be honest, Central Oklahoma has so many cool towns and communities we can’t even begin to touch on them all (although we will try our best throughout the year). A great resource (besides our blog of course) is TravelOK.com, the official site of the Oklahoma Tourism & Recreation Department. Choctaw: The oldest charted town in Oklahoma is home to Old Germany Restaurant and the Oktoberfest. Harrah: Held each September, Harrah Day is a celebration of all things Harrah. Live music, a hot dog eating contest and more are topped off with an amazing fireworks display. Prague: On the first Saturday of each May, Prague hosts the world-famous Kolache Festival. The festival is a fun and unique celebration of Czech culture. Bringing Books to Life; 10 a.m.; Myriad Botanical Gardens, South Lobby; 445-7080; Free. Art Moves- Stuart Asprey; Noon; Oklahoma City Museum of Art, 415 Couch Dr.; Free. ICF Canoe Marathon World Championships; All Day; Boathouse District, 725 S. Lincoln Blvd. ; 552-4040. Macbeth; 8 p.m.; Myriad Botanical Gardens, Myriad Gardens Water Stage; 235-3700; $15 for general admission. Manhattan Short Film Festival; 5:30 & 8:30 p.m.; Oklahoma City Museum of Art, 415 Couch Dr.; 236-3100. ZooBrew; 6:30 p.m.; Oklahoma City Zoo, 2000 Remington; 424-3344; $35 for members, $45 for non members. Heritage Hills Historic Homes Tour; 2 p.m.; Heritage Hills Neighborhood; Tickets are $15. 2014 Plaza District Festival; Start at noon; Plaza District; Admission is free. Manhattan Short Film Festival; 2 p.m.; Oklahoma City Museum of Art, 415 Couch Dr.; 236-3100. Break out your tennis shoes—yes, the ones sitting in the corner of your closet collecting dust—and get ready to explore Oklahoma. Fall is a great time to get outdoors and explore our state. Thankfully, there are so many trails, parks and outdoor activities that you can become one with nature in no time. No matter what part of OKC you live in, there’s sure to be a park or trail nearby to aid in your exploration of the Sooner state. Explore the flora and fauna at the Hefner-Overholser Trail, which roughly follows the water diversion canal between the two lakes. Other local trails include the Earlywine Trail, Katy Trail, Lightning Creek Trail, Oklahoma River Trails, Overholser Trail, South Grand Trail and Tinker-Draper Trail. And the best part? These trails are free from motorized vehicles. That’s right, all of you walkers, runners, roller-bladers, skateboarders and cyclists can experience the beauty without the interference of four-wheelers, motorcycles or other speedy machinery. The current MAPS 3 projects will add more than 200 miles of trails throughout Oklahoma City over the next few years. Once all of the trails are complete, everyone will be able to travel through Oklahoma City’s neighborhoods between the lakes Hefner, Overholser and Draper and the Oklahoma River and back safely again along trails. The West River Trail is expected to be completed this year and will connect Lake Hefner to Oklahoma River. The three-phase plan is expected to continue for the next several years, so look for the number of outdoor recreational activities in Oklahoma City to multiply exponentially. MAPS 3 will also add new sidewalks throughout the city making daily travel easier for pedestrians. For bicyclists who love hitting the road to feel the wind in their hair and pavement under their wheels, Oklahoma offers a variety of landscapes. The Oklahoma Bicycle Society’s “Crankin’ in the Country” series offers a unique perspective to explore our state. From the Tecumseh Loop, Sulphur Loop, Lake Overholser to El Reno, Indian Point, Tribbey Loop, Hilly Ride, Norman to Paul’s Valley and Hinton Loop, riders will have an opportunity to learn about the state’s history while enjoying a great workout. Those who enjoy walking and running have a number of excellent choices for recreational areas in the Oklahoma City metro including Dolese Youth Park, Eldon Lyon Park J.L. Mitch Park and Hafer Park (Edmond), Joe B. Barnes Park (Midwest City), Lake Hefner, Lake Overholser, Martin Nature Park, Chisholm Trail Park (Yukon) and Earlywine Park. Oklahoma State Fair; All Day; State Fair Park; 948-6800; $10 for adults, $7 for children at the gate. Sandi Patty; 7:30 p.m.; Oklahoma City Community College, 777 S. May; 682-1611; Ticket prices vary. Art Moves- Jon Martindale; Noon. ; Robinson Renaissance, 119 N. Robinson, Free. The Mustache Bash; 6 p.m.; Shop Good, 3 NW 9th St.; 702-0517; Admission is free. Zoo through History; 7 p.m.; Oklahoma City Zoo, 2000 Remington; 424-3344; Regular Zoo admission. Summer’s End Dinner on the Terrace; 6 p.m.; Myriad Botanical, Meinders Garden; 445-7080; Ticket prices vary. Premiere on Film Row; 6 p.m.; Film Row; Free. Roger Clyne & the Peacemakers; 9:30 p.m.; Wormy Dog Saloon, Bricktown; 601-6276; Ticket prices vary. Mesta Festa; Noon; Mesta Park; Admission is free, $15 donation for wine and beer tastings. It’s Cider Time! All about Apples; 2 p.m.; Myriad Botanical Gardens, Terrace Room; 445-7080; $8 for members and $10 for members. Garden Games; 4 p.m.; Myriad Botanical Gardens, Great Lawn; 445-7080; Admission is $25, Must be 21 or over. Fairy Ball; 7 p.m.; The Paseo Green Space; 525-2688; Admission is free. An Evening of Nostalgia “Get to Know Your Districts”; 7 p.m.; DC on Film Row, 609 W. Sheridan; $5 admission. Step Right Up for Fair Fun! From Sept. 11-21, State Fair Park in Oklahoma City will be bustling with the Oklahoma State Fair and all that it entails. An annual extravaganza stretching back 107 years, the Oklahoma State Fair offers a little something for everyone, from deep-fried culinary delights (sign us up!) to ice-dancing Disney princesses. Read on for our can’t-miss fair favorites. The City of AGtropolis – The Oklahoma State Fair has its roots in agriculture, and this hands-on learning experience presents Oklahoma’s agricultural history with interactive exhibits and demonstrations throughout the Oklahoma Expo Hall. This event is perfect for kids or adults formerly obsessed with the Little House on the Prairie series. Centennial Frontier Experience – In case you aren’t quite done celebrating the 125th anniversary of the Oklahoma Land Run, the Centennial Frontier Experience at 14 Flags Plaza will take you way back to Oklahoma’s Wild West days. Don’t miss two of the rootinest, tootinest western performers, Loop Rawlins and Lynn Payne, in the Wild West Showcase. Disney on Ice – Called “the ultimate celebration of celebrations,” Disney on Ice presents Let’s Celebrate! with its usual vibrancy and flair. Check out ticket prices and show times here. Free concerts on the Chickasaw Entertainment Stage – Gather smack-dab in the middle of the fairgrounds each evening to enjoy jazz, alt rock, country, oldies and even hick-hop (yes, that’s a thing). Fair food –You may already have your go-to favorite, but the roster of fair food has 20 new additions this year. Heads up – almost half of those foods include bacon as an ingredient. Start prepping your digestion now. When it comes to partnership, the Greater Oklahoma City Chamber and the State Fair of Oklahoma go together like mac ‘n’ cheese, especially if that mac ‘n’ cheese is covered in batter and deep fried. Oklahoma citizens pushed for an annual fair as early as 1892, recognizing the impact that the fair could have on the new territory. Convinced of the potential, a coalition of business leaders gathered in the offices of the Chamber on Jan. 18, 1907, to organize a state fair association. After months of planning, the first State Fair of Oklahoma celebrated its opening day on Oct. 5, 1907. Since that time, the Chamber has continued to support the fair as a natural extension of its long history of economic and community development. You have probably already heard about Oklahoma City’s aviation history, but an upcoming event at Will Rogers Airport will give you the chance to experience it. The Commemorative Air Force is bringing their AirPower History Tour to Oklahoma City from Sept. 18-21. Attendees will be able to tour aircraft and experience a ride-along on one of four aircraft, all from the WWII era: Fairchild PT-19, Boeing Stearman, C-45 Expeditor and a B-29 Superfortress. The B-29, named FIFI, was the premier bomber of WWII and the last one still flying. Admission is $10 per person, with discounted admission for children younger than 18 and free admission for children under the age of 10. Visit the website for more information. Aziz Ansari; 7 p.m.; Rose State College, 6420 SE 15th St.; 297-2264; Ticket prices vary. Art Moves- Rose Rock String Quartet; 11:30 a.m.; Devon Tower, 333 W. Sheridan Ave.; Free. Full Moon Bike Ride; 7 p.m.; Myriad Botanical Gardens, Band Shell; 235-3700; Free. Bluegrass River Cruise; 7 p.m.; Oklahoma River Cruises, 1503 Exchange; 702-7755; Prices vary. Old Crow Medicine Show; 8 p.m.; Rose State College, 6420 SE 15th St.; 297-2264; Ticket prices vary. Hoof’n It: 5K, 10K & Family Fun Trot; 9:45 a.m.; Boathouse District, 725 S. Lincoln; 641-6585; $30-35. Ed Roberts Book Signing; 3 p.m.; Full Circle Books, 1900 NW Expressway; 842-2900; Free. Friends & Lovers; 8 p.m.; Civic Center Music Hall, 201 N. Walker; 297-2264; Price vary. Wiggle Out Loud; 11 a.m.; Bicentennial Park, 500 Couch; Free. Barre3 Free Community Class; 7 p.m.; Myriad Botanical Gardens, the Pavilion; 445-7080; Admission is free. It’s not just for extreme sports enthusiasts, adrenaline junkies, sherpas and Captain Kirk. 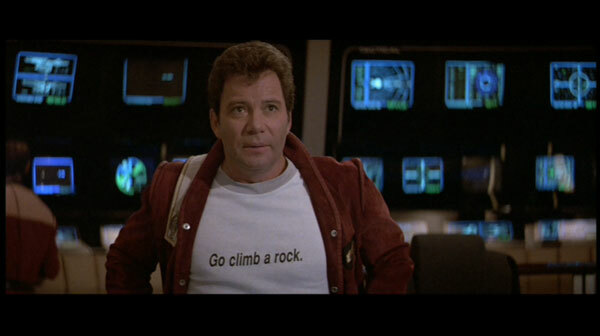 That’s right, faithful The Better Life reader – rock climbing is for everyone. And you can make your way up 110 feet of sheer face as close as downtown at Rocktown Climbing Gym. Housed in a former grain silo, Rocktown features both indoor and outdoor climbing, auto belays, bouldering, and even multi-pitch routes, among others. It’s a unique place – so much so that it was featured in the recent Coolist documentary on OKC by filmmaker Seamus Payne, who commented, “it’s one of the most inventive examples of urban reuse I’ve ever seen.” First-timers just need to head to one of the orientation classes and they’ll be good to go up. So the next time someone tells you to “go climb a rock,” you’ll know right where to go in OKC. Monday – Friday: 2-10 p.m.
Monday – Friday: 2 p.m., 4 p.m., 6 p.m., 8 p.m.
Saturday: 10 a.m., 12 p.m., 2 p.m., 4 p.m.
Sunday: 1 p.m., 3 p.m., 4 p.m. If you’re in the mood to get up, up and away, we have some ideas to put some literal littoral air between your feet and the place where the water meets the land. You’ve heard it’s windy in Oklahoma? Well, that’s hard to deny, but one of the good things about that fact is that OKC makes a great place for wind-plus-water-related action sports. “Kite Point” or “Kite Beach” on the east side of Lake Hefner is a great place to kiteboard, windsurf, parasail, and other associated action-water-sport activities. If you need to get started, a number of area companies offer lessons and places to buy gear. Moving south to the Oklahoma River, the unique SandRidge Sky Trail (above) offers 80 vertical feet of rope bridges, balance beams, and other cool climbing obstacles. The higher you go, the more challenging! We know, it sounds scary, but don’t shy away, friends – you’re safely harnessed in. And the best part? Once you’ve made it to the top, you don’t have to climb back down. Simply take advantage of America’s tallest slide, the Sky Slide, or the Rumble Drop free fall experience. The new SandRidge Sky Zip. This is really all we have to say, but we’ll go ahead and say some more: Yes, it’s a 700-foot zip line. Across the river. And back. Yes, you need to do this. Fall Hours: Saturday and Sunday 1 – 8 p.m.
OKC’s own Mat Hoffman is an unparalleled pioneer in the sport of freestyle BMX. 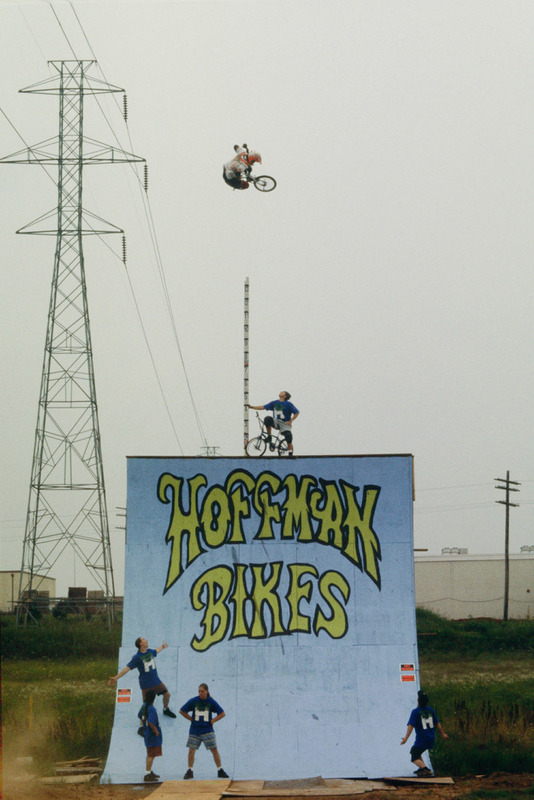 At the tender age of 13, Hoffman was the youngest rider to join the freestyle BMX circuit in 1985, going pro by 16 and inventing many of the tricks you see riders using today. He is especially known for clearing 26.5 feet from a 24-foot quarter pipe ramp (after being pulled to speed using a dirtbike and ski rope), and landing a no-handed 900 in competition, the only person to have done so. Hoffman’s impact on the action sports world is difficult to do justice to in a blog entry, but Spike Jonze, Johnny Knoxville and Jeff Tremaine produced a fantastic film on Mat for ESPN’s acclaimed 30 for 30 series, The Birth of Big Air. The highly acclaimed film kicked off Oklahoma City’s own deadCENTER film festival in 2010 in an amazing ambiance outdoors, with Jonze and Hoffman in attendance. Appropriately, Oklahoma City named its new action sports park for Mat in 2005 with the opening of the Mat Hoffman Action Sports Park. The park features both a bowl course and a street course and was named one of the top 10 skateparks in the U.S. by National Geographic Travel Guide. The park is open from dawn to 11 p. m., and it’s free! Oil and Wood: Oklahoma Moderns George Bogart and James Henkle; Regular museum hours; Fred Jones Jr. Museum of Art, 555 Elm Ave, Norman; 325-3272; Regular museum admission. On the Lawn;5 p.m.; 62nd & Western Ave.; Free. Poetry Reading; 6:30 p.m.; Full Circle Books, 1900 NW Express Way; 842-2900; Admission is free. Urban AG Coalition Film Series: “Growing Cities”; 7 p.m.; Myriad Botanical Gardens, Terrace Room; 445-7080; $5 per person. Red Dirt Rangers Family Concert; 6 p.m.; Myriad Botanical Gardens, Great Event Lawn; 445-7080; Free. First Friday Gallery Walk; 6 p.m.; The Paseo District; Free. Live Music on the Canal Festival; 7 p.m.; Bricktown, Free. Bart Crow Concert; 9:30 p.m.; Wormy Dog Saloon, Bricktown; 601-6276; Ticket prices vary. Septemberfest; All day; Oklahoma History Center, 800 Nazih Zudhi Dr; 521-2491; Admission is free. Confluence Conference; 8:30 a.m.; Lyric Theatre, 1727 NW 16th St.; 475-3761; $49 for full conference, $25 for live stream. Parker Millsap Concert; 8 p.m.; The Blue Door, 2805 N McKinley; 524-0728; Tickets are $20. Phantom of the Opera; 2 & 7 p.m.; Civic Center Music Hall, 201 N Walker; 297-2264; Ticket prices vary. 2014 Rockstar Energy Drink Uproar Festival; 4 p.m.; The Zoo Amphitheatre, 2101 NE 50th St.; 602-0683; Ticket prices vary. Arts Council of OKC’s Sunday Twilight Concert Series- Justin Young Band; 7:30 p.m.; Myriad Botanical Gardens, Band Shell; 445-7080; Admission is free. Knitting Club; 5:30 p.m.; Southern Oaks Library, Study room B; 631-4468; Event is free. Yoga at DNA Galleries; 8 p.m.; DNA Galleries, 1709 NW 16th St.; 525-3499; Suggested donation amount of $10.